Mr Moudgil told the media that such steps were being taken in the light of rumours that money was being transported in ambulance and police vehicles. Bengaluru: Mr Munish Moudil, commissioner, survey and settlement and land records, who has been appointed as Special Officer (Enforcement), BBMP, on last Thursday, came out with stringent guidelines to check government vehicles including police vehicles and ambulances in the light of allegations that such vehicles were being used to ship money to Mandya Lok Sabha constituency. Mr Moudgil told the media that such steps were being taken in the light of rumours that money was being transported in ambulance and police vehicles. “To check and detect such illegal activities, we are keeping a round-the-clock vigil for the next three days,” he added. Mr Moudgil was roped in by the Election Commission following several complaints lodged by leaders of BJP about misuse of office and collusion of government officials with political entities. Mr Moudgil was brought to the notice about the political parties violating the expenditure limit. Box: Meanwhile, the election commission also roped in Bengaluru regional commissioner, Shivayogi Kalasad, and IGP Roopa D Moudgil, to maintain a watch on nexus between politicians and police officials. 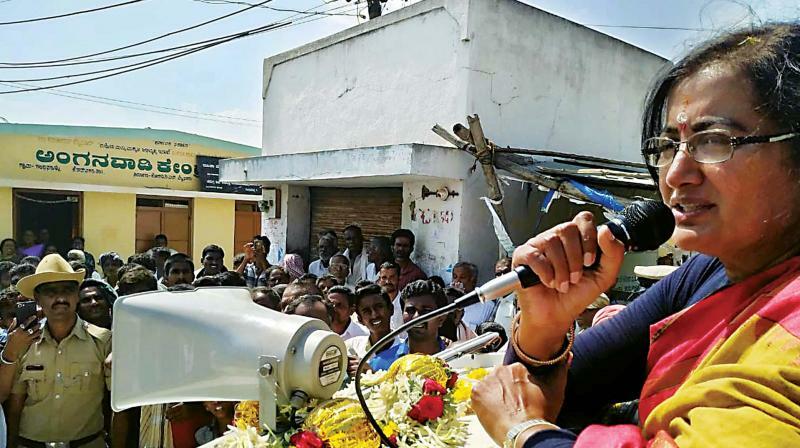 The BJP had lodged a complaint with the Election Commission about Jnanabharati limit inspector, Shiva Reddy, Peenya police station inspector, V.T. Srinivas, Yashwanthpura police inspector, Muddaraja, ACP Yashwanathpura Raviprasad P. In the complaint, the BJP had said that these officials were abusing the power to influence voters unethically harassing the BJP workers illegally. The ECI had constituted the two members two investigate these cases and file a report. Sources said that though the BJP had lodged complaint, none came forward to give evidence to the inquiry officer till Moday evening.